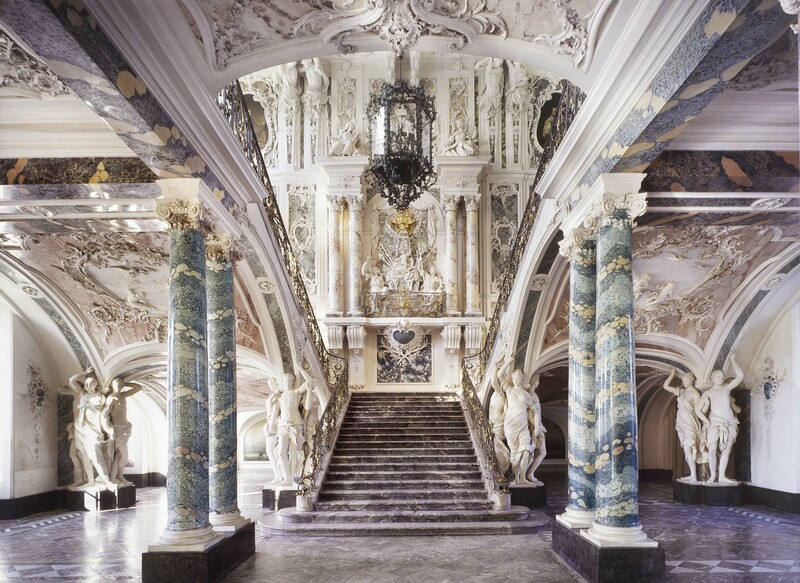 Since 35 years, the Brühl Palaces Augustusburg and Falkenlust with their extensive gardens and park grounds are living witnesses of a glorious past and rank among Germany’s top palaces to visit. They are protected by the international “Convention concerning the Protection of the World Cultural and Natural heritage”. Let us take you back on a marvellous trip into the 18th century. Enjoy an outstanding destination target in North Rhine-Westphalia. Marvel at the splendour and treasures of Augustusburg Palace, retreat to Clemens Augustus’ Hunting Lodge Falkenlust and take a walk through the flowering gardens of Brühl palaces. Combi ticket „NRW Special Sonder Ticket Schloss Augustusburg in Brühl “. Find out how you can combine a reasonably priced arrival and departure in public transportation with reduced entrance costs for the Augustusburg Palace here. Find out how you can combine your visit of Augustusburg Palace and/or Hunting Lodge Falkenlust with Max Ernst Museum here. The “Rheintaler” Augustusburg Palace or Hunting Lodge Falkenlust entitles you to a discounted admission at Brühl Palaces as well as all other 160 partners along the Rhine River from Düsseldorf to Speyer. 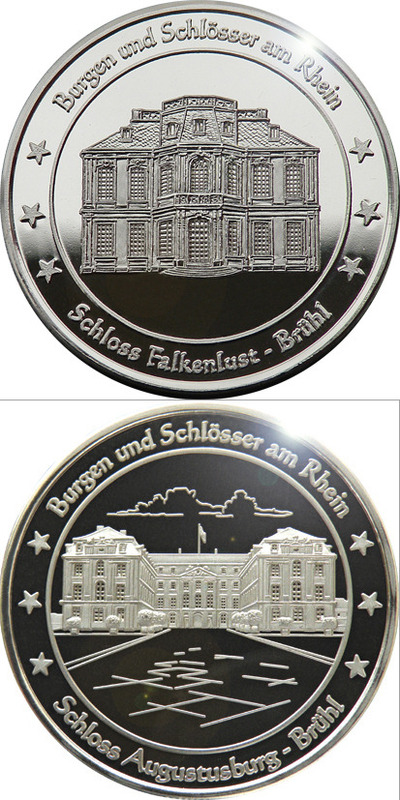 You can purchase the “Rheintaler” made of German Silver (12.90 €) in the museum shops at Augustusburg and Falkenlust Palaces. Further information is available here: www.rheintaler.net.